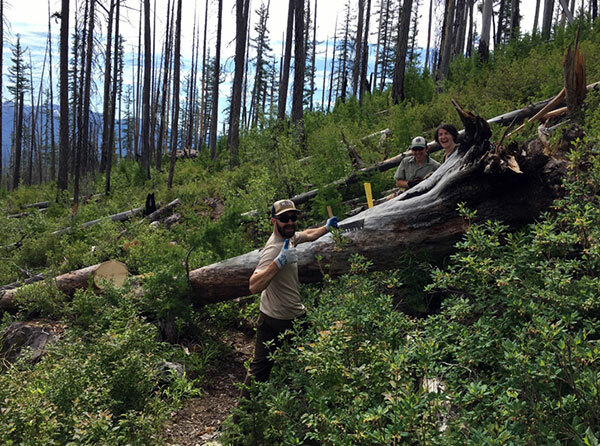 On Saturday, June 18, volunteers joined forces with SVC’s backcountry trail stewards, Christian Mascho and Nathan Noble, to help clear some of the Lower Hemlock Lake trail. 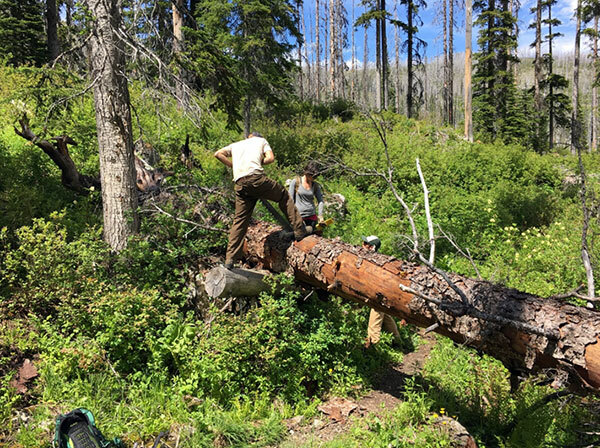 Hundreds of large diameter trees blew down over the trail last autumn and winter, leaving a mind-boggling amount of work for the duo to complete this spring/summer in order to clear the trails for the upcoming busy recreation season. 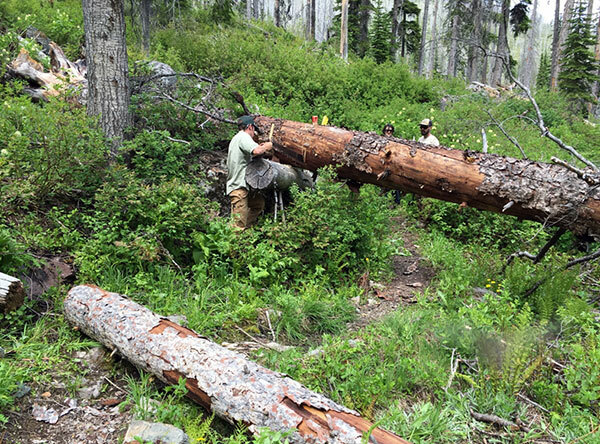 The stretch of trail that the group attacked was inside the Mission Mountains Wilderness, where only non-motorized and non-mechanized tools are allowed. Cross-cut saws and axes were used to remove hundreds of trees throughout the day, and many thanks go out to the volunteers who took time out of their weekend to help maintain one of the many wonderful Swan Valley trails.